Community Conversation with Councillor Ed Gibbons Wednesday, October 10th, 2012 6:30 – 8:30 pm Belvedere Hall 13223 62 Street NW Initiated by REACH Edmonton. A big Thank You! 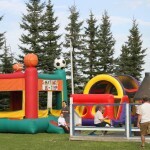 to David Dodge from the Edmonton Federation of Community Leagues for pictures of the ‘Party for the Park‘. Here are a few of his pictures. For all of David’s pictures see the ‘Galleries‘ under CLD Belvedere 2012.